Sealing with Pro Seal 896 eliminates the need for acid washing, removes the risk of staining and locks moisture into the slab, greatly improved curing for a stronger and more durable product. It's also a huge time saver for builders and contractors. It's a bold claim, but Pro Seal 896 really is the best exposed aggregate concrete sealer on the market! Choosing the right exposed aggregate concrete sealer is crucial. Sealing provides the finishing touch to your concrete. But looks aren't everything. 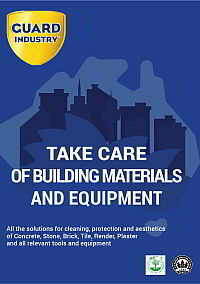 The primary purpose for sealing must always be to protect the concrete so it stays looking and functioning as intended. All too often sacrifices are made based on cost or appearance. The most common problem we come across is people using solvent acrylics to get a glossy wet look. These will often look great to start with, but they are prone to a number of serious failures. They can't be applied to a damp surface or they will go milky. They can't breathe, so moisture that gets in through control joints or from the ground below causes the sealer to delaminate. The colour enhancing effect significantly deminishes in the first few weeks and is almost completely gone after the first 6 months. 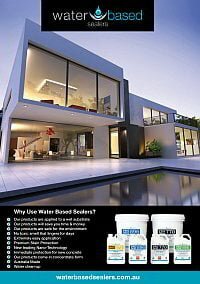 In this article we will show you a number of important reasons why you should choose Pro Seal 896 - the best exposed aggregate concrete sealer. Traditionally the best practice for sealing any type of concrete is to allow 28 days from time of pour for the slab to completely dry out. This is because moisture under a non-breathable sealer will create a negative side pressure that is likely to push the sealer off the concrete surface. However, waiting a month to finish a job is going to seriously impact a concreting contractors cash flow. So usually a compromise is made on either the quality of the concrete sealer or the ideal conditions for application. The results can include sealer that peels, goes hazy or which only lasts for 6 months. 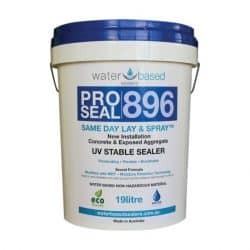 However, Water Based Sealer's Pro Seal 896 loves water and can therefore be applied as soon as the concrete has been exposed. Further, Pro Seal has been designed with Moisture Control Technology. 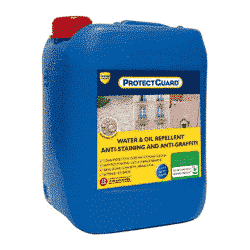 This means it can allow water to pass through as vapour while physically stopping stains, salts and other materials. This has a number of benefits including improved cure, improved performance in a wider range of applications and enhanced durability. Sealing with Pro Seal 896 exposed aggregate concrete sealer allows you to achieve superior results with less materials & less time at lower costs! When concrete is exposed to air a process called carbonation begins to occur. Carbon Dioxide, absorbed from the air, reacts with the calcium hydroxide to form calcium carbonate. 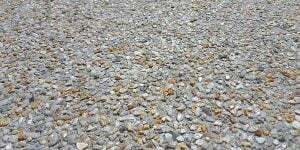 Calcium Carbonate is the substance that creates the chalky haze on the aggregate which needs removal by acid washing. The introduction of acid to uncured concrete will neutralize the alkalinity of the cement and thereby alter the hydration reactions at the surface of the concrete. This can result in a weaker surface that is susceptible to accelerated erosion and aggregate loss. Best practice is therefore to acid wash only when the curing process is complete. How many concreters are waiting 28 days before acid washing and sealing? Another negative of concrete carbonation is that it reduces the pH of the concrete. This leads to corrosion of steel reinforcement. Typically referred to as concrete cancer. Usually it's terminal! Applying Pro Seal 896 Concrete Sealer immediately after exposing the aggregate creates a physical barrier. 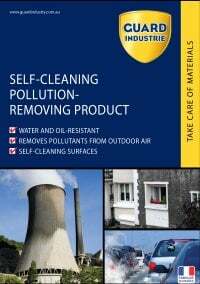 This stops carbon dioxide from diffusing into the concrete and as a result carbonation simply cannot occur. Contrary to popular belief, concrete does not cure by just drying out. In fact, it's just the opposite. 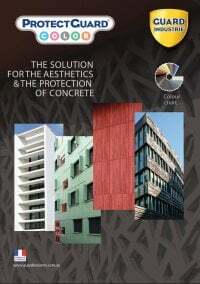 Concrete cures by a process called 'cement hydration'. Portland cement is made up of a number of calcium based compounds that all react with water to form various mineral hydrates. Some hydration reactions occur very fast but complete hydration in ideal conditions takes 180 days. Since the hydration process requires water, keeping moisture in the slab is essential. Most concrete never completely cures. A concrete slab poured and left to cure in air will only achieve about 40% of it's maximum strength. The best way to cure a slab is to keep it completely saturated at all times for 180 days. This is difficult to achieve in reality and completely impractical in most applications. As such the best all round solution is to find a way to retain as much moisture as possible without increasing the time required before the concrete can become serviceable. The amount of water in a concrete mix is more than sufficient to achieve complete hydration. However, the problem is keeping it in there for long enough for it to do it's thing. ProSeal 896 is a breathable membrane that slows the evaporation of moisture from the slab. 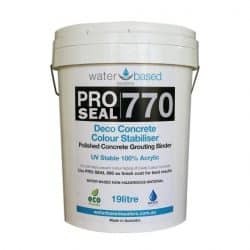 Nata certified laboratory results show that concrete treated with Pro Seal 896 retain at least 75% of the initial moisture over a 72 hour period. This ensures more complete cement hydration, which means stronger concrete, with less dry shrinkage & cracking. For the best results seal with ProSeal 896 exposed aggregate concrete sealer as soon as possible to lock in the maximum amount of moisture. to be a problem. ProSeal 896 concrete sealer is the best exposed aggregate sealer on the market! If you aren’t using ProSeal 896 on your slabs, you’re doing it wrong! Efflorescence is the result of dissolved salts transported by water through the porous concrete . Water evaporating at the surface leaves behind salts. These salts form a white scale called efflorescence. Efflorescence is common in a drying slab. This is because there is a lot of water and, until hydration is complete, there are also a lot of soluble minerals that will migrate wherever the water takes them. Early application of Pro Seal 896 provides a physical barrier that locks in moisture. This slows the evaporation rate. Which in turn stops the draw of water and salts to the surface. Therefore, efflorescence ceases to be a problem. choose PRO SEAL 896 and you’ll never regret your decision!